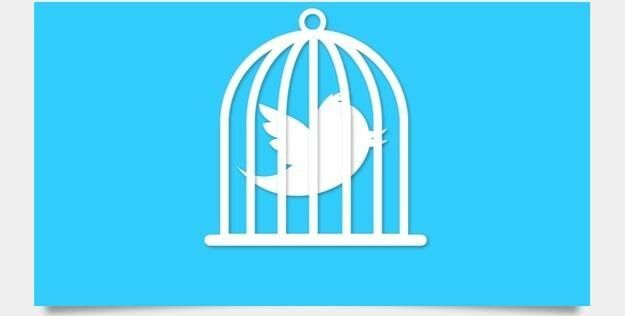 Twitter [last Friday, Sept 14th] succumbed to pressure from a New York criminal court to turn over deleted tweets of an Occupy Wall Street protester. This is why you should care. Twitter gave in to a New York court subpoena requiring it to turn over more than three month’s worth of tweets posted by user Malcolm Harris, 23, who was arrested last September during an Occupy Wall Street Protest. The surrender of the tweets, which Harris deleted from his public profile, follows a months-long battled by Twitter to keep the information from landing in the hands of prosecutors. The surrender of the tweets was the result of presiding New York State Supreme Court Judge Matthew Sciarrino’s threat to hold the company in contempt and impose a fine on Twitter if the tweets were not handed over by today. To assess the amount of the fine, Sciarrino demanded that Twitter disclose its earnings statements from the past two quarters — financial data that Twitter, as a privately-held company, does not want to be made public by the court. The tweets will remain under seal at least until after the court hears Twitter’s appeal on the court order demanding the tweets, which will take place on September 21. Malcolm Harris @BigMeanInternet : So Twitter handed over a pile of my tweets that’ll stay sealed pending a hearing on the 21st. Bummer. Harris was one of more than 700 people arrested on October 1, 2011, for disorderly conduct after about 2,000 protesters blocked traffic on the Brooklyn Bridge roadway. Prosecutors believe Harris’s deleted tweets will prove that he knew he was disobeying police orders to not block the roadway. Reuters was first to report this story. Twitter declined our request to comment on the case beyond remarks made to the court (pdf) by attorney Terryl Brown, Twitter’s outside counsel. Whether you plan to start protesting things or otherwise bring the attention of police, prosecutors, and courts into your life, Twitter’s involvement in the case against Harris should concern anyone who looks to the U.S. Constitution as the law of the land. At stake are the rights afforded by the Fourth Amendment’s protection against “unreasonable searches and seizures,” and the First Amendment protection of free speech, both of which are being tested by this case — a case that, on its surface, only concerns a misdemeanor crime punishable by a $250 fine or 15 days in jail. Were Harris’s tweets still publicly available, Twitter would not be involved in this case; the police could simply grab the tweets. However, because Harris deleted the tweets, all types of legal gray area has clouded the court’s proceedings. One of the laws behind Judge Sciarrino’s ruling is what’s known as the Fourth Amendment’s “third-party doctrine.” This controversial rule, established as part of the Electronic Communications Privacy Act of 1986 (ECPA), in part dictates that any online communication or records that exist on a third-party server (such as emails stored by Gmail, or tweets stored by Twitter) may be accessed by law enforcement without a warrant, as long as the data has been stored for 180 days or more. The understanding at the time the bill was written was that such communications or files had been “abandoned” by their owners, and as such, removed the owners’ expectations of privacy. This portion of ECPA has been recognized as out-of-date, as the law was passed at a time when online communications were rare. As I wrote earlier today, a new bill has been introduced to the Senate Judiciary Committee that would strike the third-party doctrine from the books. Unfortunately for Twitter and Harris, that bill is not likely to pass soon enough (if at all) to have bearing on this case. …[I]t may be necessary to reconsider the premise that an individual has no reasonable expectation of privacy in information voluntarily disclosed to third parties…This approach is ill suited to the digital age, in which people reveal a great deal of information about themselves to third parties in the course of carrying out mundane tasks. People disclose the phone numbers that they dial or text to their cellular providers; the URLs that they visit and the e-mail addresses with which they correspond to their Internet service providers; and the books, groceries, and medications they purchase to online retailers. The Electronic Frontier Foundation (EFF), along with the ACLU, New York Civil Liberties Union (NYCLU), and Public Citizen filed an amicus brief (pdf) on behalf of Twitter for this case. In that brief, the groups argue that the inability for an individual (in this case, Harris) to quash a subpoena of this nature on First Amendment grounds wades into dangerous territory, as it threatens to dissuade citizens from engaging in free speech through any form of digital communication. Going to bat for users — no more? Beyond the questions of constitutionality, the court’s decision to bully Twitter into handing over Harris’s deleted tweets may lead other online service providers to shy away from fighting for their users when the laws are as controversial or unclear as this one. I have deleted Facebook a long time ago. I have a twitter account, but do not use it. Gmail is the next to go, very soon. 1. How closely do you think this site, and therefore my email that you make me type in is being monitored? 2. Isn’t an easy way around this, to create dummy email and twitter accounts that cannot be linked back to a person? Although, its seems we are screwed. There are many people out there who have much more digital knowledge than our fine government. Newer Article: Who does Brian Bilbray really represent in Congress?